The Patriot Coalition vision is of a strong and secure constitutional republic governed by honorable men and women of strong moral character. In order to achieve our vision, Patriot Coalition seeks to restore constitutional governance to the United States of America and preserve it for our descendants. Our nation was founded on the natural law that man is born with certain God-given unalienable rights (or liberties). Our nation’s prosperity is largely derived from these liberties; and to ensure them, the Constitution was adopted to limit the government’s authority to infringe upon them. Without these liberties, our citizenry would not have the freedom or the assurance that they may live without fear of their government; that they may go about their lives and commerce without interference. The Founders created our Constitution to limit the federal government to a narrow scope of authority that was defined in the document and given to each branch of government to restrain the other branches from overstepping their own authority. If we are faithful in our duty to elect honorable men and women to public office (and actively hold them accountable), our Constitution will continue to provide the framework to secure fundamental liberties for each of us and our posterity. America is the most prosperous nation on Earth—which is a double-edged sword. While this provides for a very high standard of living for us when compared to the rest of the world, it also causes those less-fortunate nations to seek our aid in whatever problems they face. This requested aid usually takes the form of money, material, technology, men, or in some cases refuge/shelter for their people. While God expects us to serve others’ needs, we cannot do this effectively if we do not first secure our own liberty first and preserve it for future generations. How can our elected officials be good stewards of our resources, if they give freely to other nations while we are deep in debt? Until such time that we have once again “secure[d] the Blessings of Liberty to ourselves and our Posterity,” unless the purpose is to directly protect the liberties and provide for the security of our own citizenry, humanitarian aid ought to be directed by each citizen according to his own conscience. It is this faith in our Creator that inspired them to draft the Declaration of Independence laying the foundation for our great nation by memorializing our God-given rights. Our entire system of government was founded upon the premise that its sole purpose was to secure (protect) our God-given rights through its Republican nature—that is to say a nation of laws. Like the founders, we must have continued faith that the Lord will give us the courage and wisdom to persevere in our duty to secure His blessings for future generations. If we don’t love our country and the principles it was founded upon, any threats to our liberty and Constitution are moot. Patriotism must be the primary motivation for the actions we take. It is the one characteristic that all of our fellow patriots, by definition, share with one another. There will always be differences in race, national origin, religion, geography, political party, or gender, but our love of country will keep us united. For us to maintain the respect, support, credibility, and trust of our fellow citizens, we must strictly adhere to the principles of our Republic. The foundation for this code is integrity in everything we do. It means we must choose the harder right over easier wrong. We must be truthful in all of our communications. This does not mean that we must be perfect, but we should strive for perfection. If we make a mistake, we must take responsibility for it, and make every reasonable effort to correct it. Our bedrock principle is that every resident of the United States is duty-bound to adhere to the rule of law. Therefore, we must adhere to every constitutional law ourselves as well as resist all unconstitutional enactments, not just those we consider significant or that may impact us personally. If we get to choose which laws we obey, then we have no right to suggest or demand that others cannot do the same. We must lead by example in this area. We must be model citizens ourselves in order to expect others to be the same. To do otherwise would be to jeopardize our credibility. We must be committed to our cause. Because we are not funded at anywhere near the same level as Non-Governmental Organizations (NGOs), we must rely on the commitment of our volunteers. On an individual level, committing to an organization, project, campaign, position, or task for our fight is a serious undertaking. The future state of our nation, which we will leave to our children and grandchildren, depends on our seriousness of purpose. By committing oneself, we are telling others, “you can depend on me,” so let our “yes” be yes and our “no” be no. By doing so, we can take stock of our volunteer assets and effectively use them in taking back our country. As an organization, we must stay the course. Many in this nation are depending on us to succeed where our government (federal, state, and local) has failed us. We must redouble our efforts to continue this model, and inspire others with our commitment. The Patriot Coalition has strived to be a leader in all aspects of our fight: thought-leadership, innovation, commitment, integrity, team building and more. To a large degree, we have been successful as validated by our peers. We must be willing to continue to “lead from the front.” If we are asking other organizations to participate in a project or activity, we must be the first to participate by showing them that we are not asking them to do something we are not willing to do ourselves. Just as important is the servant aspect of our leadership model. We have been strong proponents of developing leadership at the lowest level possible (geographically and organizationally). If we have a partner organization that has an idea for a national or local project, we need to be the first to say “how can we help?” and let that organization lead if desired. This servant-leadership model engenders respect amongst our coalition and builds a trust level so that our peers are confident that our relationship is a two-way street. In our experience, coalition partners that are listened to and appreciated for their contributions have proved to be very motivated and are tremendous allies. Along with Patriotism, one value we must always keep in the forefront of our thoughts is our altruistic purpose. We should not be in this to puff up our individual or organizational egos, but to ensure that our nation does not cease to exist as we know it. Once we have restored Constitutional governance, there will be plenty of time for all participants to tell war stories about how they single-handedly saved our nation. In the meantime, we should lead, follow, or get out of the way. We’ve got a mission to accomplish and there is no time for petty squabbles, battles over the ownership of ideas, dragging other leaders through the mud in front of the media, etc. On the other side of the coin, we must recognize that it is human nature to want to be recognized for significant contributions to a cause, and for a job well done. We should never deny that to anyone should accolades be warranted. If someone else is better suited for a leadership position, a particular project or group, or be better suited to speak or give interviews, we should always defer to the best candidate for the job. There is plenty of work to go around. In fact, Patriot Coalition would never have been so successful, if we hadn’t solicited and empowered great leaders in many areas of our work. This will never be a one-man war. However, we should never let our humility (as an organization or as individuals), or our desire to cooperate with others, undermine our mission. The following competencies are vital to achieving our mission. We must be effective in each of these areas to succeed. Collectively, they are also what set us apart from any other organization fighting to restore Constitutional governance. Above all else, leadership is the single-most critical element in accomplishing our mission. Effective leaders provide direction, motivation, encouragement, and can inspire confidence when all other methods fail. In many situations, effective leadership can substitute for weaker areas of an organization. Patriot Coalition seeks not only to have effective leadership at the national level, but to build leaders of character throughout the organization. When done correctly, leadership development will be conducted at all levels (e.g. leaders developing leaders) to ensure we are growing and effective leadership team long-term. In the fight for our sovereignty and Constitutional republic, there is no shortage of organizations which have sprung up to fight against the same enemies. Some of these organizations are short-lived, others are distracted by other priorities, some are operatives of the “establishment”, and some are true to the same principles as the Patriot Coalition. To be effective as a true coalition, we must engage as many of these like-minded organizations to participate as members of the Patriot Coalition; not as subordinates, but as partner organizations. It has been said often that all of the groups fighting this fight need to unite as one organization. We do not believe that to be an effective strategy. As we’ve seen in many instances already, one organization, through misguided priorities, poor leadership, or simply poor decisions, can be rendered ineffective through negative press or public pressure by the media and/or the population-at-large. Should that organization be a “super-group” that swallowed up all other groups, the effect on our fight from the demise of that organization would be disastrous. A better approach would be, as we have envisioned, a coalition of like-minded groups; each autonomous but agreeing on a direction and general means of accomplishing our mission; but more importantly aligning with our vision, principles, and values. In this manner, groups working together at the same time, in the same direction, on the same project can be highly effective. This does not preclude the formation of Patriot Teams in areas that are not represented by already-formed, like-minded groups. However, when possible we ought to seek out a successful group in an area before we set up our own operations. Our reputation in working with our coalition partners precedes us and enables us to work effectively together. One reason why the Patriot Coalition has been so successful in building an effective team (coalition) is because we seek to empower our coalition partners at the lowest level possible. All politics is local and no one knows better the politics of a city, county, or state more than the local residents. For this reason, we defer to their judgement and offer to support them in any way we can, and solicit their ideas on how to combat the problem locally. This servant-leadership model is in large part, why our national projects gain so much support from our coalition partners. Maintaining initiative in any battle is critical. If an organization is reacting defensively to a situation, it cannot be propelling their strategy forward. Rather, by taking the initiative, the same organization can set the agenda and cause its enemy to react to its own operations. For this reason, the Patriot Coalition seeks to be proactive, working from a position of strength whenever possible, rather than allowing the opposition to dictate the terms of the fight. In certain instances, however, opportunities present themselves in such a manner that even by reacting, a certain amount of initiative can be taken away from the opposition. This situation can be summed up in the military adage “the best defense is a good offense.” The Patriot Coalition has always been, and will continue to be, on the lookout for these opportunities. In the fight for our country, we need all the support we can get. Unfortunately, in this complacent generation, patriotism alone does not drive supporters to our cause. In today’s age, there must be something new or exciting in a marketing message or project just to catch someone’s attention. Fortunately, we have become known for our innovative projects; by the media, the general public, and by our coalition partners. From the outset, the Patriot Coalition has made its mark in this fight through innovation and technology. 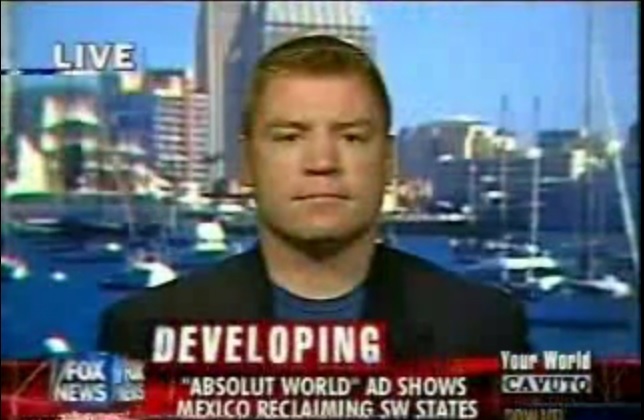 Our very first project, WeHireAliens.com, placed us squarely on the map in the minds of Americans as a serious player in the fight to save our country from the illegal alien invasion. Since then, every project has bolstered that reality and garnered new supporters and partners. If we are to continue with our progress and maintain the initiative, Patriot Coalition must continue to develop new and innovative projects for Americans and our coalition partners to participate in. Each project that an American hears about or participates in is one more avenue to educate them to the perils of this invasion. Jason is a veteran of the United States Army and graduate of the United States Military Academy at West Point holding a Bachelor of Science degree in Systems Engineering. After being honorably discharged from the Army, and in addition to continuing his service to our nation as a leader in the liberty movement since 2004, Jason has held positions as a Senior Consultant for a “Big 4” consulting firm, founder and president of a custom software development firm, and analyst for a global medical device company. and local news programs in television, radio, and print to include Neil Cavuto and John Kasich on Fox News, ABC World News Tonight, MSNBC, Lou Dobbs, KFI – Los Angeles, KOGO – San Diego, and more. Richard received his MBA and Juris Doctor from the University of Kansas. He served as a legislative intern to the Kansas Senate President (1987) and has been a civil litigation attorney for over 15 years. More importantly, he has dedicated his time and experience full-time to the Liberty movement since 2007. Richard is an experienced presenter who genuinely enjoys teaching the Constitution and the extra-constitutional principles which are essential to our Liberty. He has spoken to groups on the dangers of an Article V Convention, the importance of original jurisdiction and the egregious citizen detention provisions of the 2012 National Defense Authorization Act (NDAA). Other presentations included local level training on the distinction of a “constitutional” militia, the citizen grand jury, duties of a sheriff, constitutional nullification and immigration issues. Richard is an unique attorney who differentiates between Constitutional Law (that taught in Law School) and the “Law of the Constitution” (that which the Framers intended). He believes that the survival of our Liberty is not just dependent just upon compliance with the Constitution, but the complete package of protections afforded us under the principles of federalism and sovereignty. 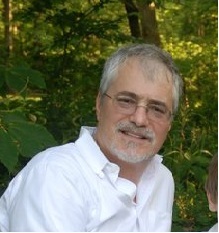 Richard currently serves as general counsel for Patriot Coalition (www.PatriotCoalition.org), the Citizens Constitution Caucus, and Revitalize the Second Amendment. He has consulted and advised Members of Congress, their staff and state legislators as well as testified before multiple state legislative committees, conducted briefings for state legislators and Members of Congress, and spoken at press conferences and in briefings on Capitol Hill. 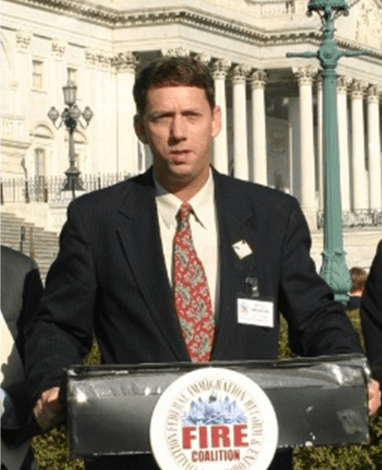 As part of The Intolerable Acts Action Center’s (www.TheIntolerableActs.org) legal team he co-authored legislation for city, county, sheriffs and states to resist the NDAA which were passed. Richard also helped re-draft the grand jury law in 2013 for Kansas to stop prosecutorial abuses. Jeff Lewis is founder of PatriotWatchdog, and co-founder of the Patriot Coalition. Through 2014, Jeff served as the National Director of the Federal Immigration Reform and Enforcement Coalition, aka FIRE Coalition, as well as the Patriot Coalition. These coalitions have active legislation and resolutions in Congress, as well as in state and local governments across the country, all of which are intended to restore constitutional governance and law and order to our once-great Republic. Jeff is a veteran of Operations Desert Shield and Desert Storm, and four-time cancer survivor. There can be no honorable “pursuits of happiness” without defending our God-given inalienable rights, and there can be no honor without giving our “all” to preserve the Blessings of Liberty our Constitutional Republic provides. Over the past nine years Jeff has testified before state legislatures across the country, consulted and advised federal, state, and local candidates for office on immigration, national security, and Constitutional issues including presidential candidates in the 2008 and 2012 elections, conducted briefings for Members of Congress, state legislators, and hosted National Security Conferences across the country.